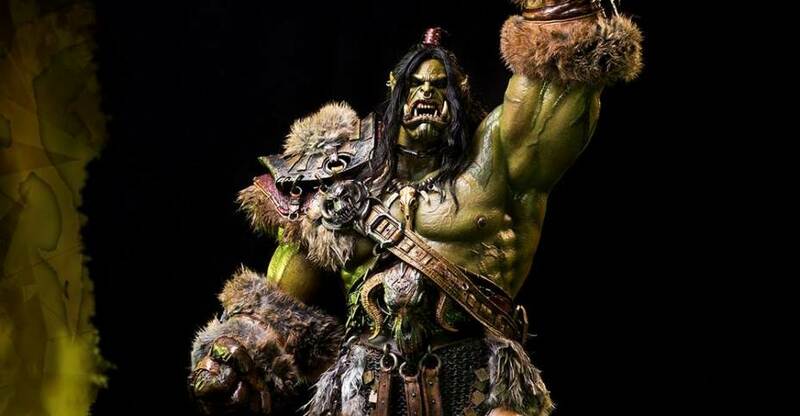 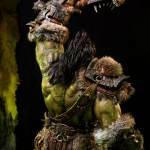 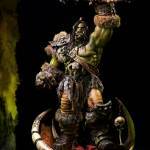 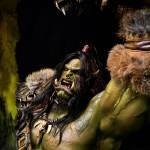 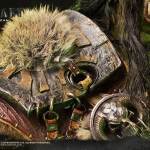 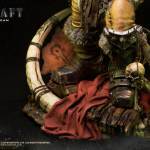 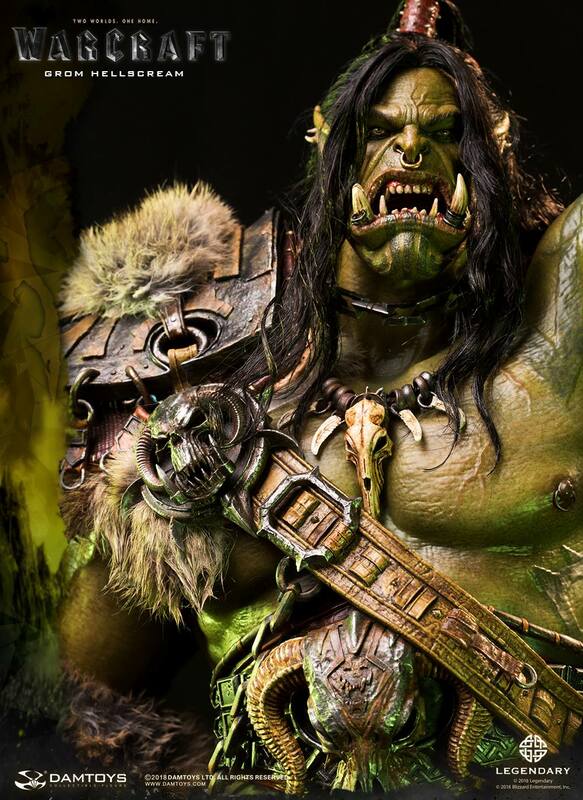 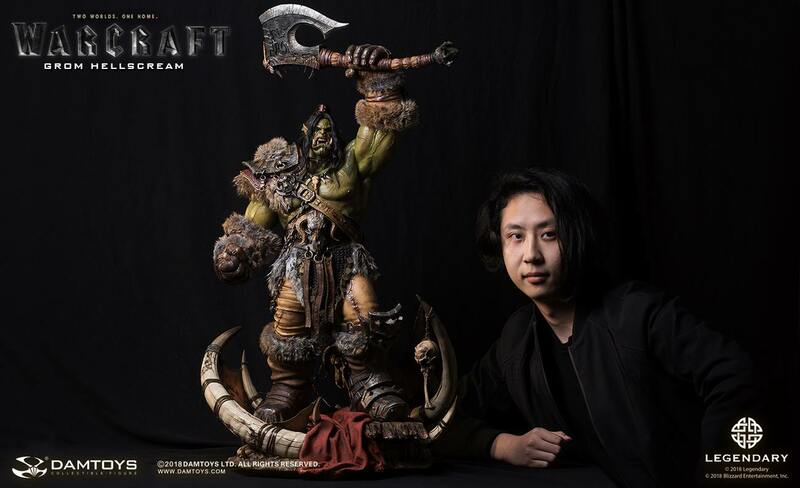 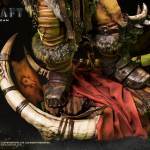 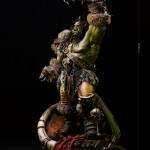 Back in November, DAMTOYS revealed their impressive Warcraft Movie Grom Hellscream Statue. 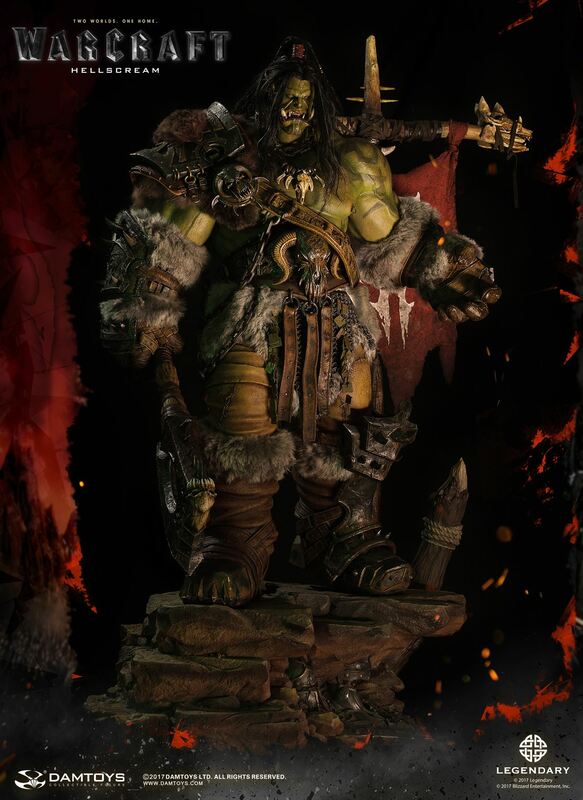 Today, we have a look at a second statue based on the character. 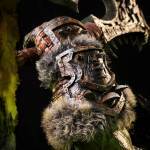 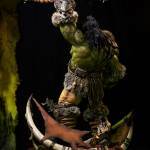 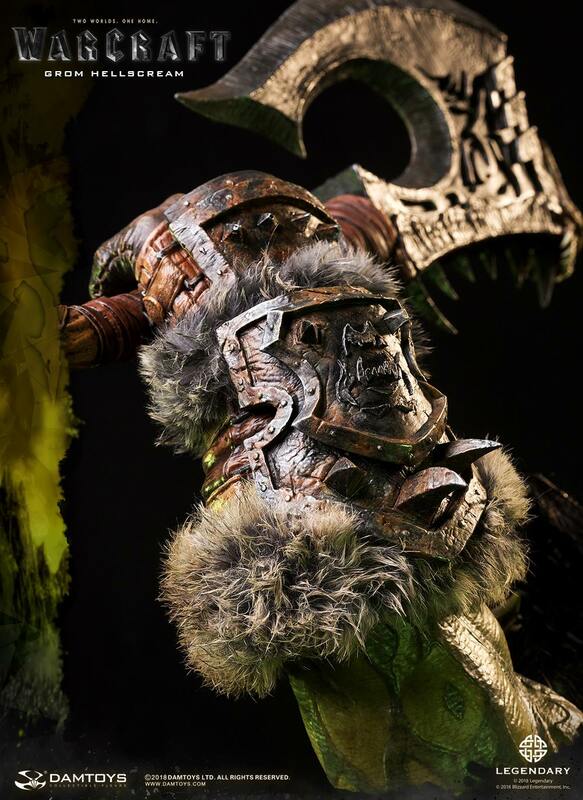 With his battle axe raised in the air, the Grom Hellscream 2.0 Statue stands over 34″ tall! 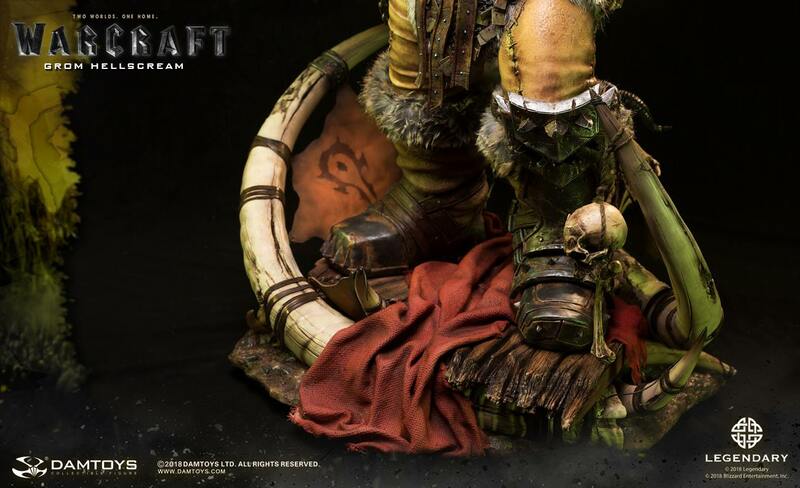 The statue features a mix of sculpted details, fabric, cowhide and fur. 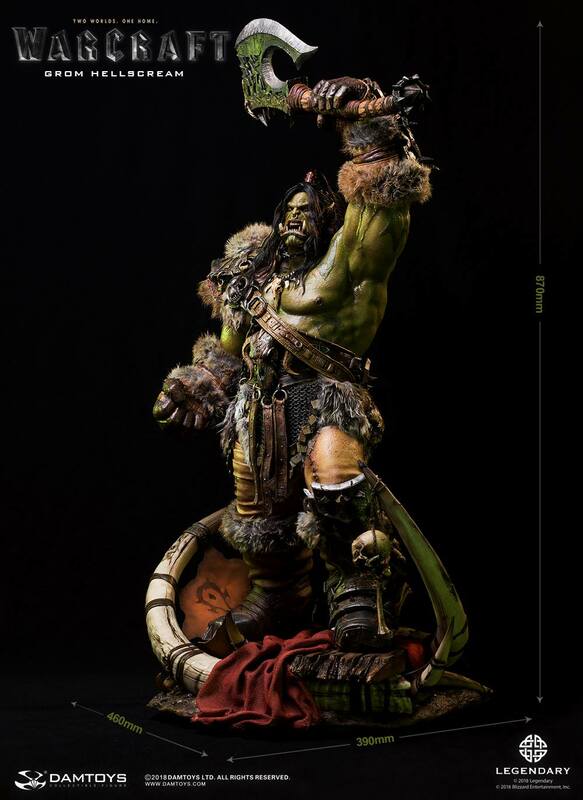 The statue, which is scheduled for release sometime this quarter, is priced at $1,460. 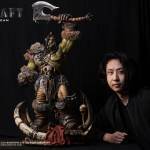 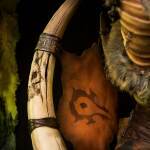 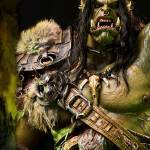 Other statues in the Warcraft movie series include Medivh, Durotan, King Llane, Orgrim, Kargath Bladefist and Gul’dan. 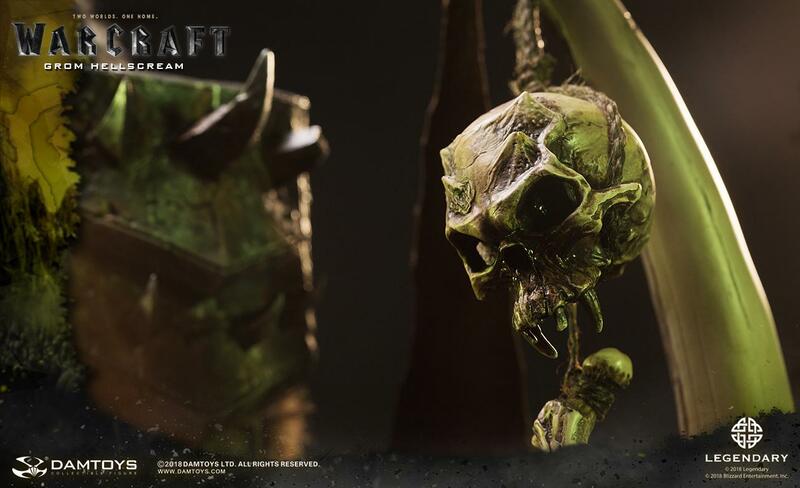 Check out the official details below and all of the photos after the jump. 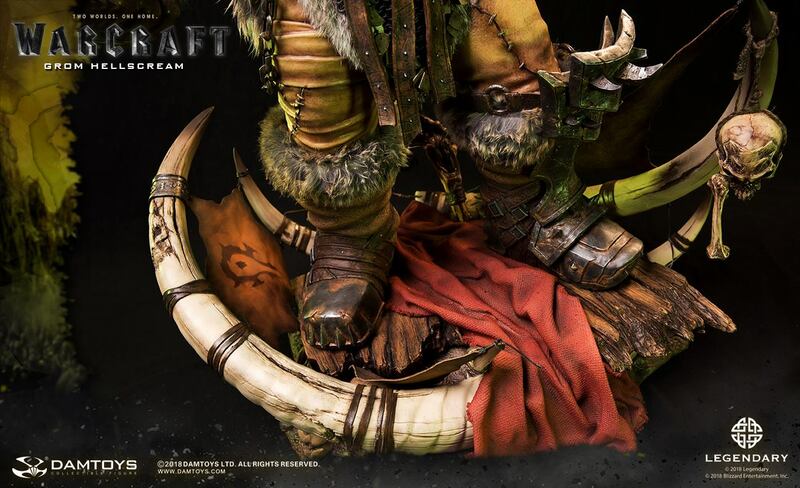 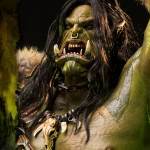 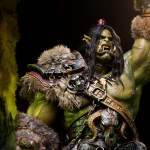 We are proud to announce the eleventh release from the Legendary Pictures Warcraft movie, a highly anticipated adaptation of the classic video game from Blizzard Entertainment – Grom Hellscream 2.0 Premium Statue! 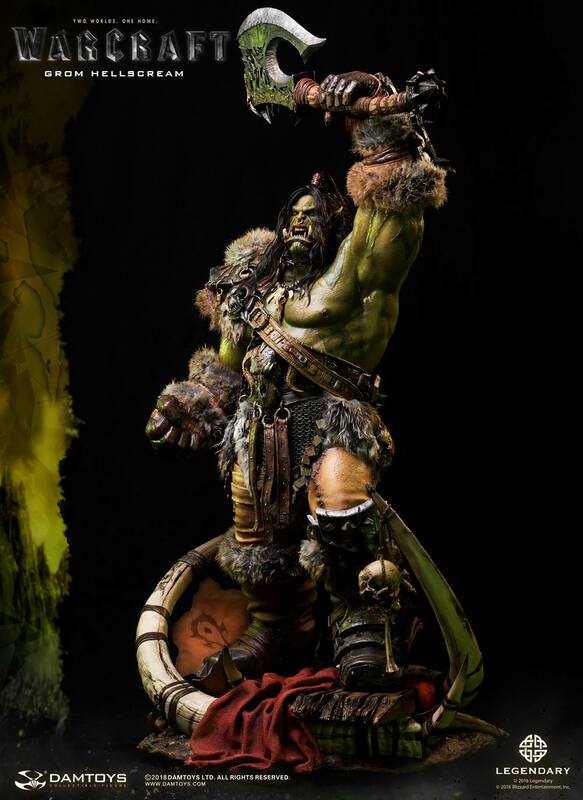 DAMTOYS officially introduced this collectible grade of exquisite Premium Statues – the Epic Series in 2016. 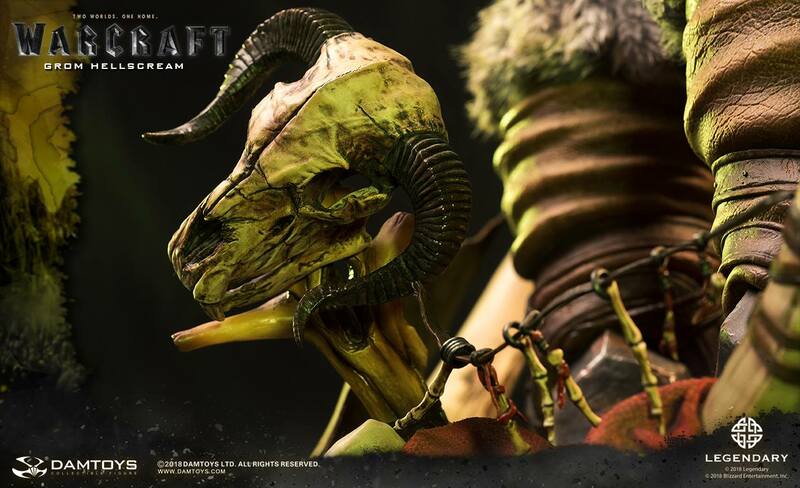 In response to the great reviews for Hellscream 1.0 and by popular demand from collectors, we bring you Hellscream 2.0. 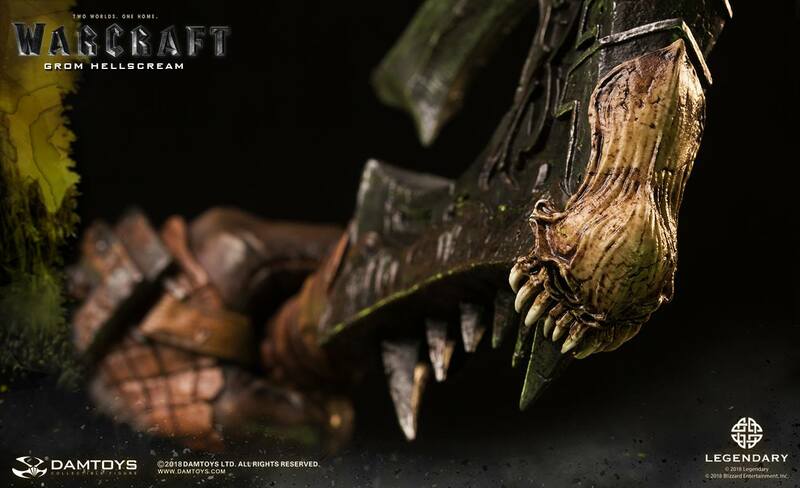 In this update, we have used an iconic pose popular among fans. 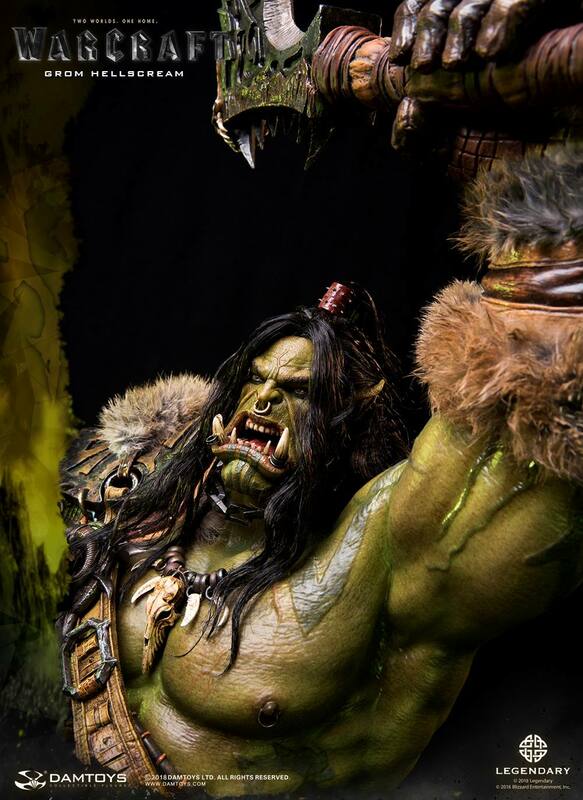 In the closed off camp at Azeroth, Hellscream organizes the Orc soldiers for the next offensive. 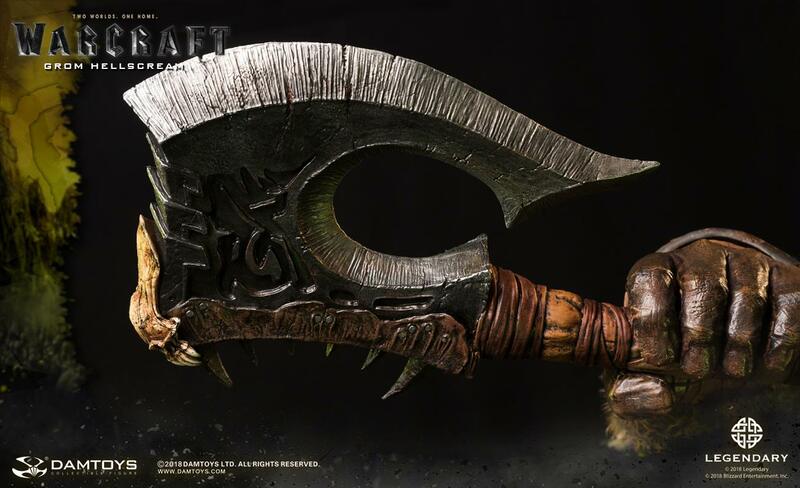 The Gorehowl in his hand appears to cry out to the land of Azeroth, FOR THE HORDE! 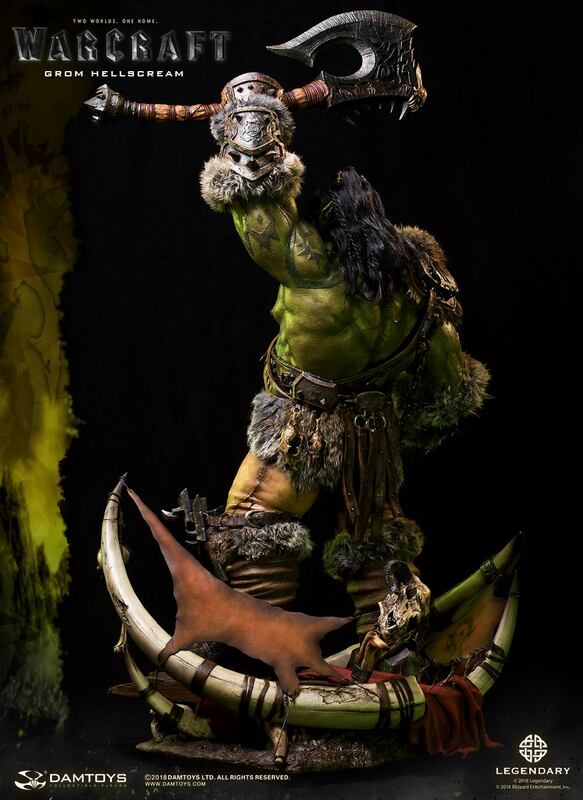 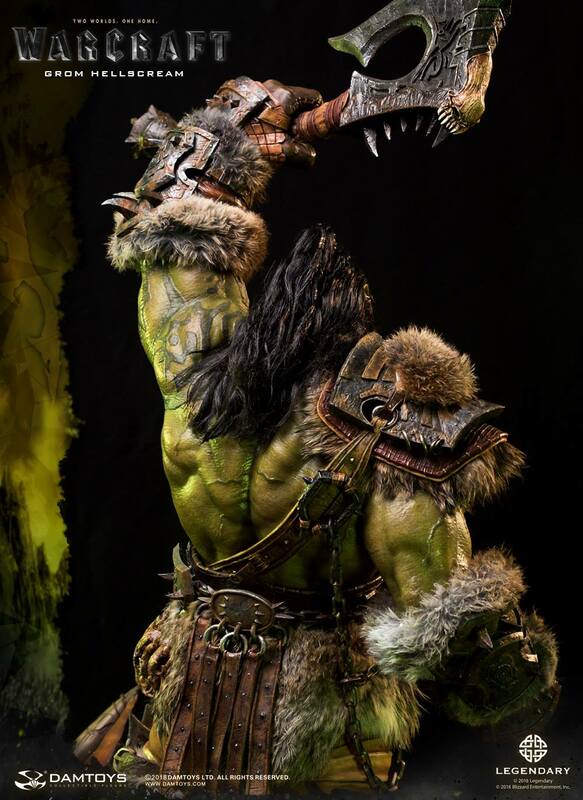 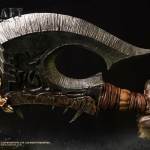 Based on the movie settings and props, the best team of DAMTOYS, with the top production technique, has created this exquisite 87cm tall Grom Hellscream statue. 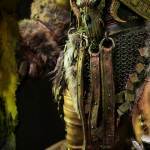 Every detail has been accurately captured- be it weapons, armour, action, expression, or even the blood vessels and tattoos on the skin! 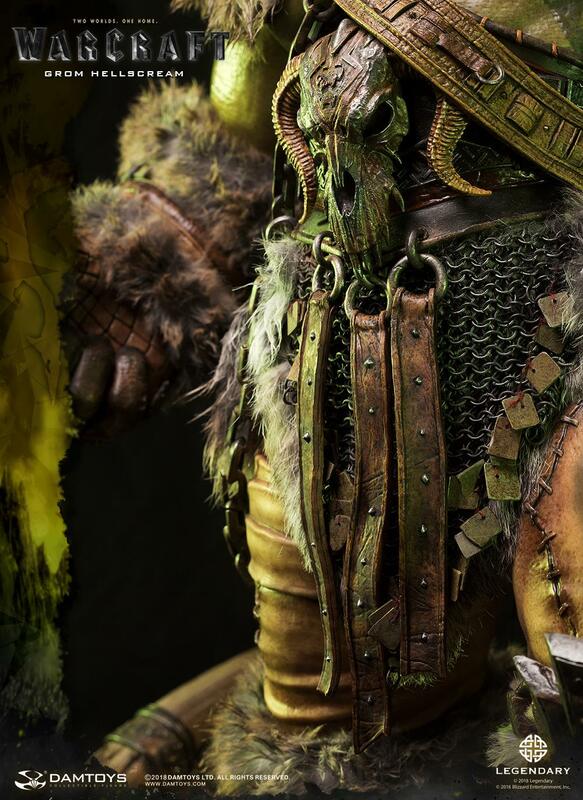 The costume, made with a mix of fur and leather, has texture and color that are faithful to the film. 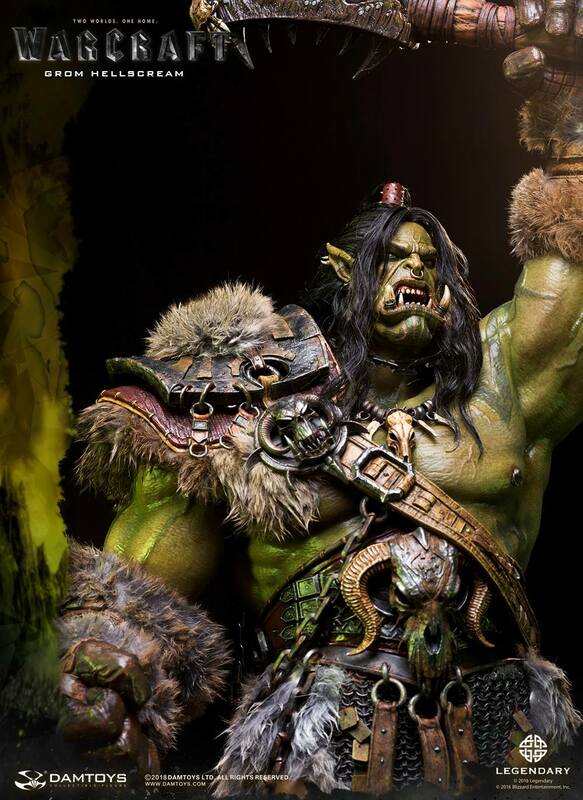 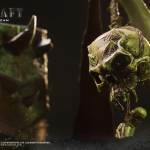 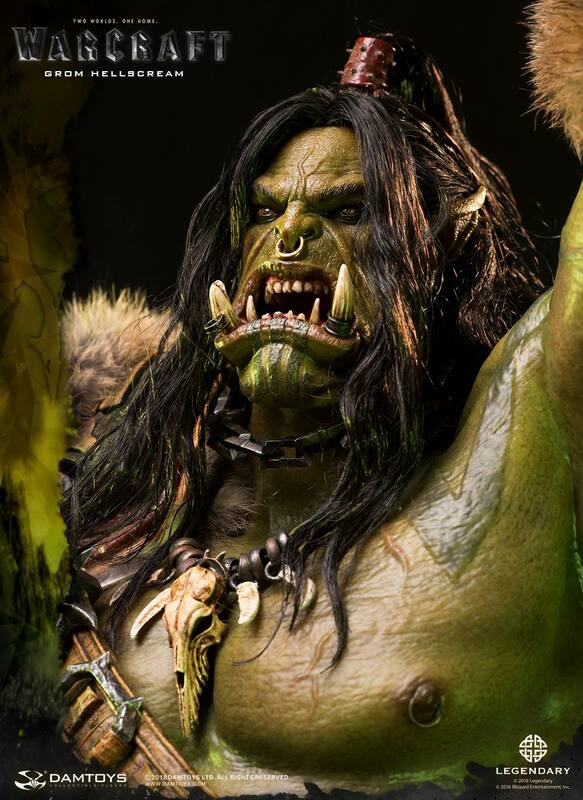 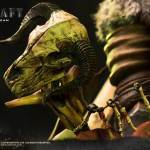 With complex hair implantation process used on the head sculpt and realistic skin texture engraved on its torso; giant animal bones and skulls as symbols of wealth and glory, this statue looks and feels just like in the movie Orc culture. 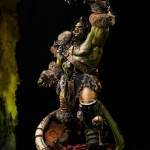 DAMTOYS Epic Series Grom Hellscream Premium Statue will bring you an all-new experience of stunning visual! 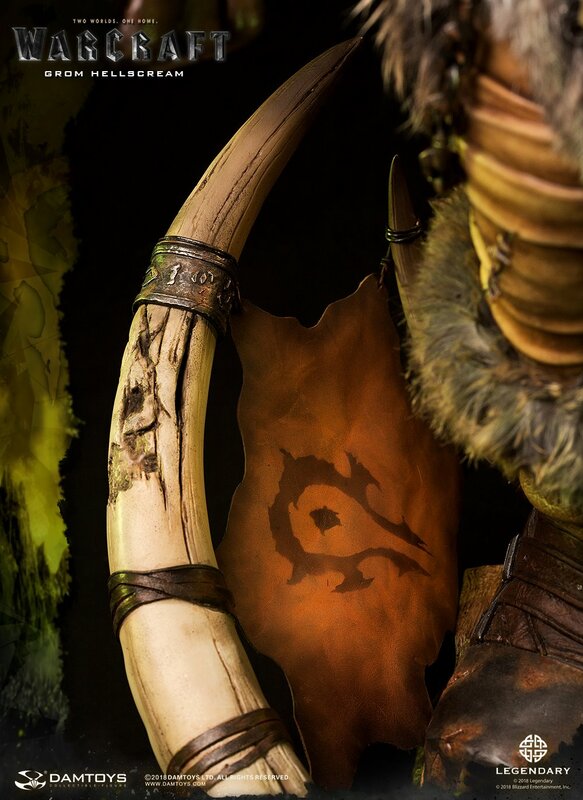 Don’t miss this! 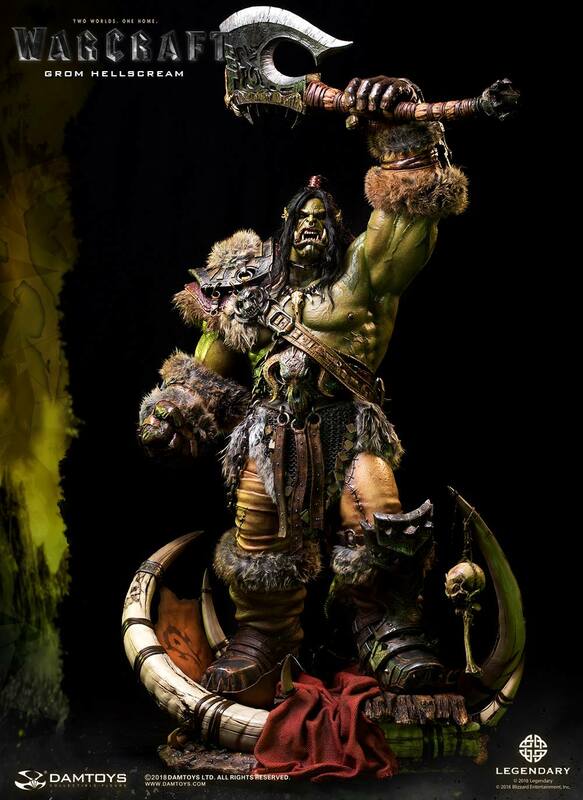 Gladiator Hulk's tag team partner. 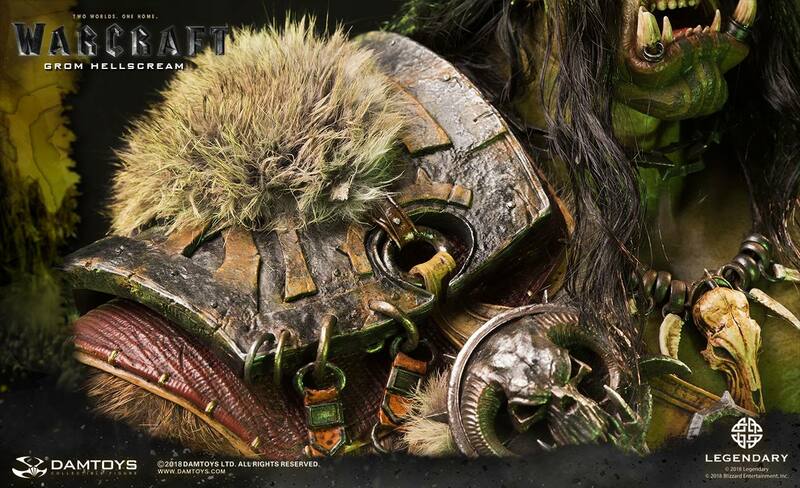 I'm surprised they're still making stuff for this movie considering it flopped.